Chevron spot socks made from sustainable materials, naturally breathable with anti-fungal and anti-bacterial properties they will keep your feet cosy and comfy throughout the day. The socks are ethically made with environmentally friendly fabrics and processes. Made from a blend of bamboo, GOTS certified organic cotton and recycled polyester, the socks are a sustainable and earth friendly option to add to your collection. Made with azo-free dyes, Oeko-Tex Standard 100 certified and suitable for vegans. 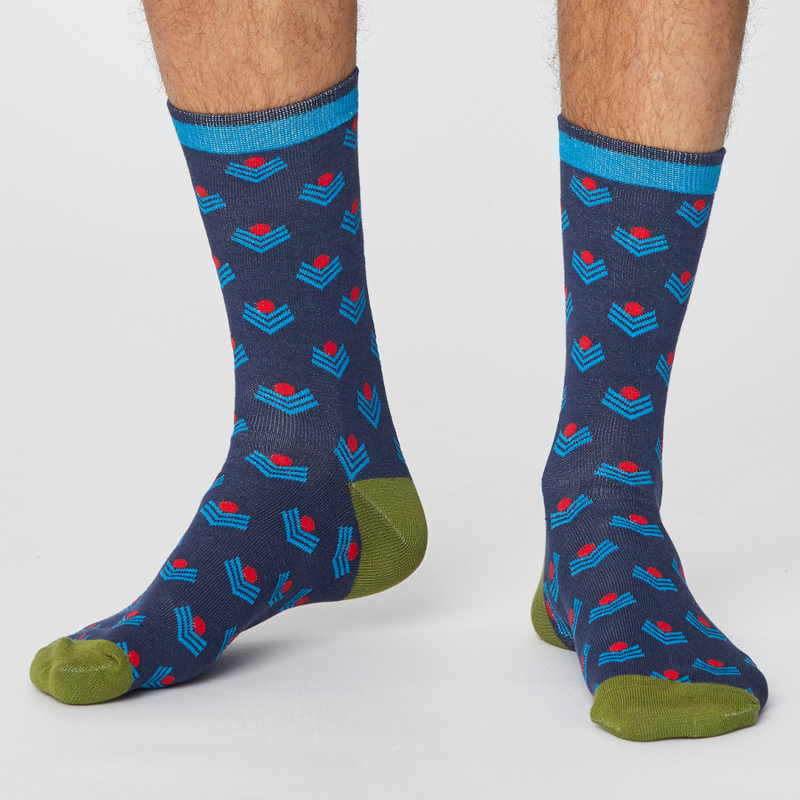 The Thought Mens Chevron Spot Bamboo Socks - Navy product ethics are indicated below. To learn more about these product ethics and to see related products, follow the links below. 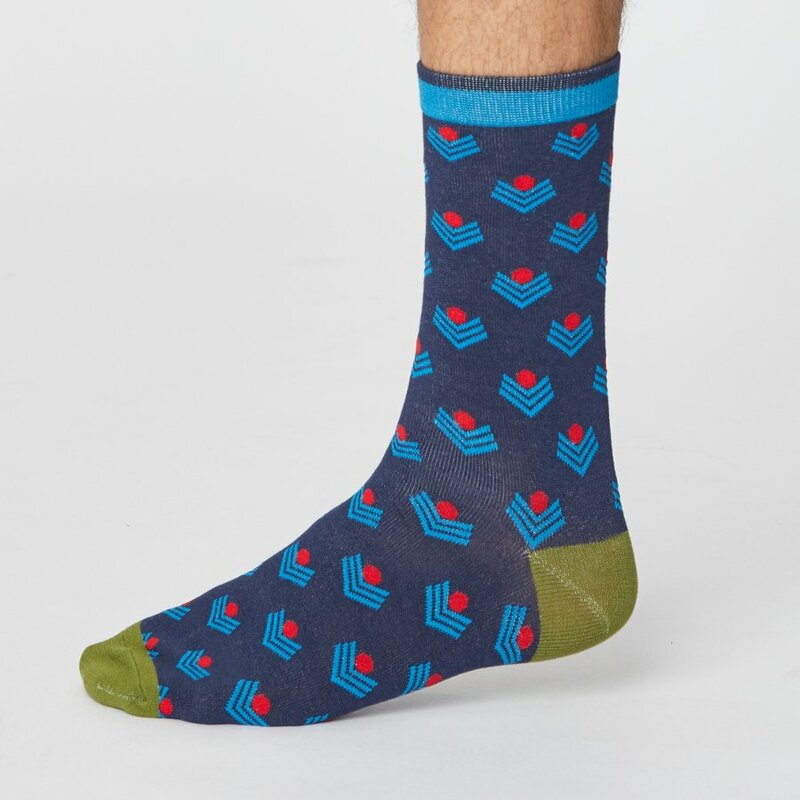 There are currently no questions to display about Thought Mens Chevron Spot Bamboo Socks - Navy.